Tag Archive | "farpoint group"
Reports say that the much anticipated release of the celebrated iPhone 5 will be pushed back. Apple’s regular schedule of releasing new gadgets at the beginning of summer may be upset by the release of iPhone 4 under Verizon Wireless February of this year. The company is facing a possible production problem due to shortages in the parts and components Apple imports from Japan. Several industries have been affected by the series of earthquakes and the huge tsunami that struck Japan barely two months ago. 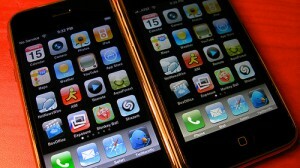 Traditionally, new iPhones are announced during the Apple’s June Worldwide Developers Conference. On Wednesday, MacRumors published a statement allegedly from an employee of AT&T saying that Apple has informed them that they are not planning to release the new iPhone in June but a new version should be expected soon. Unfortunately, AT&T, as supposedly mentioned by one of their employees, was not given a fixed date. AT&T refused to deny and neither confirm this rumor. David Siegel, AT&T spokesperson, said that the company will not comment on the issue as Apples’s policies prohibit them from commenting on any issue regarding their upcoming products and release dates. Reuters has already cited three people who have “direct knowledge” of Apple and said that the iPhone 5 release will be pushed back to September in time for the new operating system – iOS 5. However, Craig Mathias of the Farpoint Group refuses to believe all these rumors. He also said that Apple has since been extremely consistent with their release dates and will only believe the rumors when it actually happened.